The love of my life is turning 35. Hitting mid-thirties looks so good on him. What is it with men in their 30’s and 40’s its like they blossom in middle age. As the salt and pepper hair starts to come in the awkward anxious young man goes out and in its stead, a sturdy man of character and strength grows in its place. Yum! We were married at only 19 years old so in many ways, we have had to grow up together. I remember on one of the first birthdays we spent together I got him the new Tony Hawk video game and we ate take out on the floor in our tiny new apartment because we didn’t have any furniture yet. It was a very good birthday memory. Birthdays have changed a lot since then but it has been a privilege to share many more birthdays together. Birthdays are very special around here. I think I get my love of birthdays from my mother. Every year I try to do something different for him that is meaningful and memorable. He does so much for us. One year we went to a football game with his buddies, another year we had a big birthday bash, sometimes we take a mini vacation and sometimes we enjoy some of the cool stuff around town. Every year it gets harder and harder to come up with something new. He has got to be the hardest person to shop for. What do you get someone who thinks he already has everything he needs… you get him something he wants. My husband is such a practical and generous man and is always putting the needs of his family first. If he does suggest gifts he usually asks for new shoes or gift cards to restaurants so he can take me out on more dates. (I know I'm lucky!) 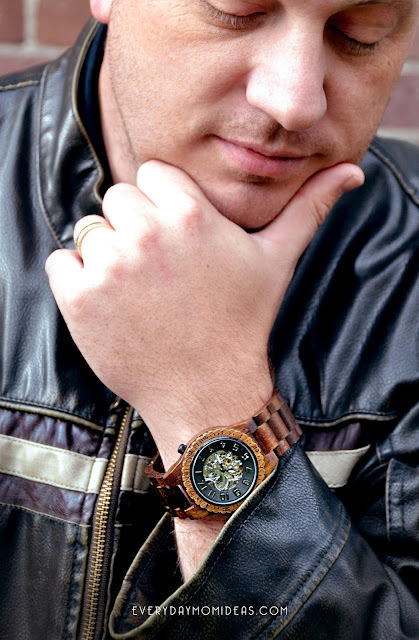 He wouldn’t dream of asking for something as luxurious as a JORD chronograph wood watch, and that’s what makes him deserve one of these beauties even more. One of my favorite things about his birthday this year is sitting him down and telling him to pick out any one of the JORD watches that he would like. His mouth just about hit the floor. 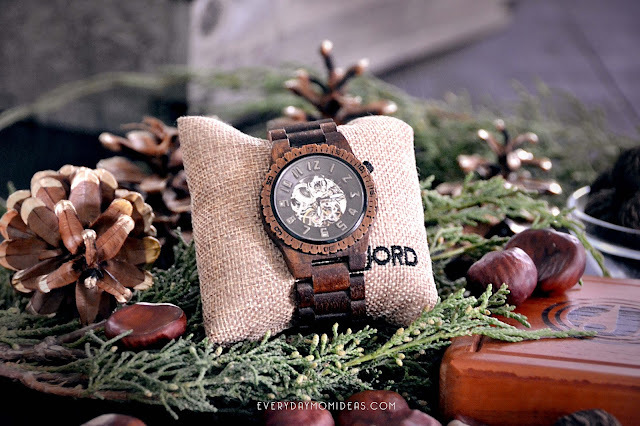 He ended up picking the Dover Koa & Black because he loved the dark stain on the Koa wood, the black metal face and the detail of seeing the gears inside on both sides of the watch. He was even able to get it custom fitted to his wrist. He is definitely feeling spoiled and can't wait to wear this out to his big dinner bash in a couple of days. If you don't know what an automatic watch is its a watch that doesn't use a battery but instead uses automatic self-winding mechanisms that winds up just by you wearing it. Pretty cool right?! And JORD has some of the most stunning men and women automatic wood watches you will ever see! 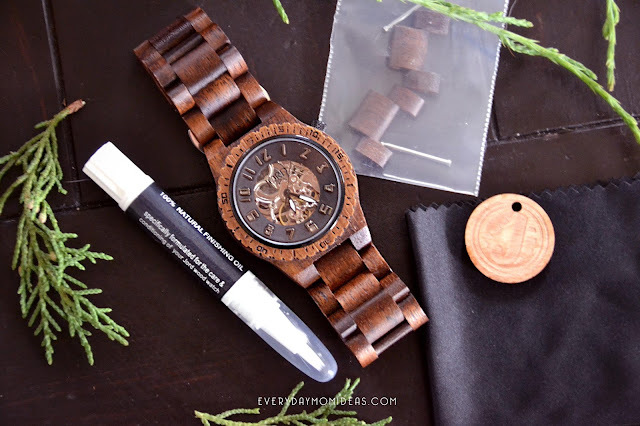 This watch, in particular, came with natural finishing oil to preserve the wood and help it be a little more weather resistant, also came with extra pieces for the watch should we ever need it, a polishing rag and a beautiful wood crafted watch box with magnetic lid and drawer. 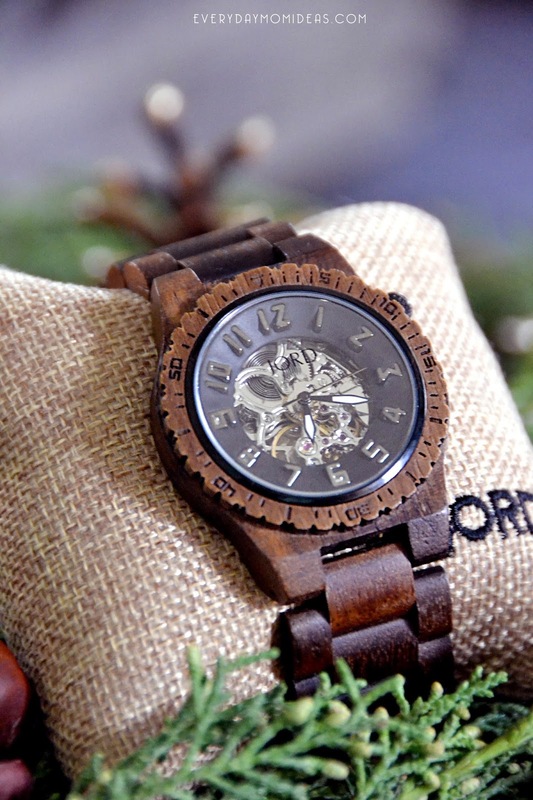 This isn't just a watch its a statement piece. It's not necessarily flashy or sparkly from across the room but it does catch the eye with its unique real wood craftsmanship and ingenuity. Plus it's just plain fun to wear and goes with every outfit... well don't wear it with your swimsuit because it's not waterproof just water resistant. This is definitely a watch for the office though and of course date night. Enter To Win $100 towards any JORD Watch! 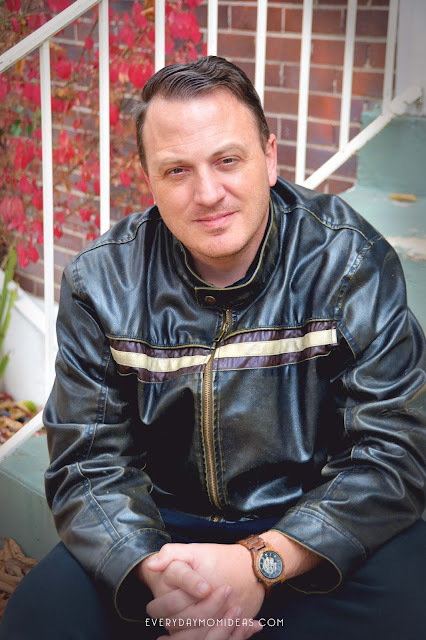 25% off Coupon Code: "everydor7yrs" -- valid only during the course of the giveaway! 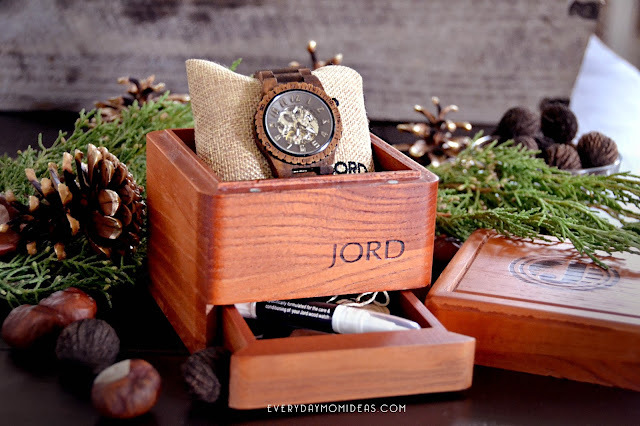 One EMI Reader/Winner will get $100 gift code to spend at JORD watches plus FREE SIZING and FREE SHIPPING! It's easy to enter to win. 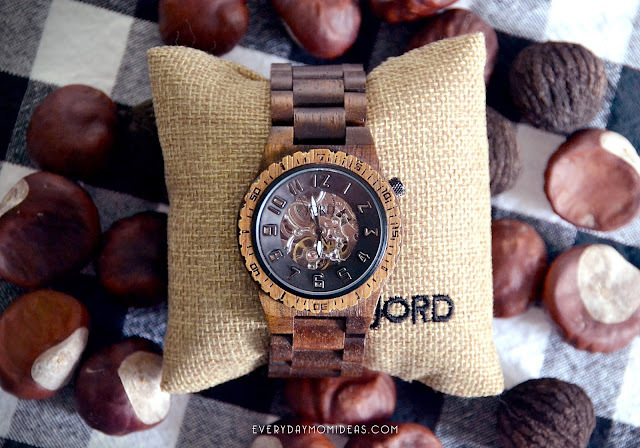 Just click the link below and fill an out a few simple things, and you can follow JORD watches for extra entries.